Scatter clues around your school or community. Offer some drug-related trivia questions on social media---when kids answer correctly you can give them a tip on how to find the next clue. Whoever gets to the finish line first wins a prize! 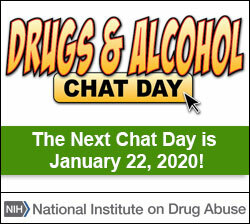 Get trivia facts from the NIDA Web site, the NIDA for Teens Web site or the Drugs: SHATTER THE MYTHS® booklet.